If you’ve obtained a 2-year green card through marriage to a U.S. citizen or through a financial investment, you are a conditional resident of the United States. 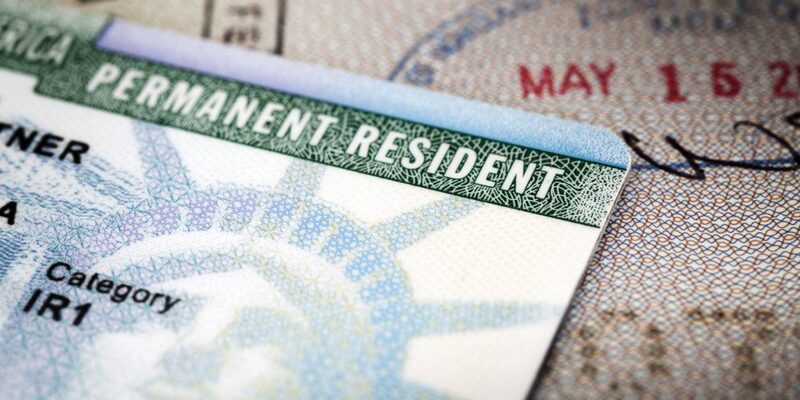 While the rights and privileges of a conditional resident are very similar to a lawful permanent resident (10-year green card holder), the statuses are very different. Renewing green card after 2 years requires careful consideration. In fact, you won’t be a renewing your green card — the process for conditional residents is completely different. If your marriage is less than 2 years old at the time your residency was granted, you will be given conditional residence. Your conditional status will expire in only 2 years. You may be asking why the green card is conditional and only valid for 2 years. Marriage fraud, the act of getting married to evade the immigration laws of the United States, has always been a serious concern for immigration authorities. In 1986, Congress passed a law that gives U.S. Citizenship & Immigration Services (USCIS) an additional opportunity to examine whether a marriage is legitimate. The conditional term is used like a probation period. USCIS uses this period to ensure that the marriage is bona fide (genuine and real). Therefore, there is a burden of proof on the couple to provide evidence that they did not get married to evade the immigration laws of the United States. It’s important to understand that renewing green card after 2 years is a significantly different process than renewing a 10-year green card. In fact, a conditional green card cannot be renewed. A conditional resident receives a green card valid for 2 years. In order to remain a permanent resident, a conditional green card holder must file a petition to remove the conditions. Failure to remove conditions in a timely manner will result in the automatic revocation of status and eventually result in deportation. Once the conditions are removed, the conditional resident becomes a lawful permanent resident with a 10-year green card. Petitioners that want step-by-step assistance through the form and simple instructions for gathering the correct documents can use CitizenPath’s low-cost software to prepare the I-751 package. Try it free. The I-751 petition is fairly straightforward, but is vital that you prepare a petition that is consistent with other dates and facts previously presented to USCIS. Simple mistakes and incomplete answers can cause delays and sometimes more significant immigration problems. Remember, conditional green card holders are required to file the joint petition within 90 days before the card’s expiration. If you do not file on time, your status is automatically revoked, and you will no longer be in legal status. Late filings are allowed, but you must explain why you did not file your petition on time. In most cases, this is best addressed with the assistance of an immigration attorney. It’s very important for petitioners to understand that removing conditions is more complicated than simply filing a form. 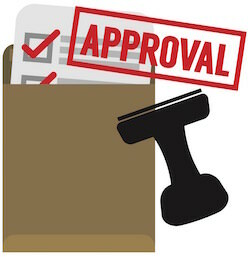 The supporting documentation that must be submitted with the petition is equally, if not more, important to the success of the petition process. That’s why you must prove a good faith marriage. Since USCIS doesn’t have cameras in your home (nor should they), you’ll need to provide evidence that proves you are obtained a green card for legitimate purposes. You can do this by providing documents that show you’ve joined your life together. Having a child together demonstrates this long-term intention to stay together, but it isn’t mandatory that you have children. The joining of financial accounts or insurance is a great example of your sharing of assets and liabilities. But even records that show you living life together such as phone records, wedding and vacations all demonstrate this. Submit photocopies of birth certificates for any children born to the marriage. Having children is not a requirement for having a valid marriage, but it is good evidence that a couple has started a life together and has intentions of staying together. If you own property together, make copies of the deed showing both owners’ names. Other relevant real estate documents may include the closing papers, purchase contract, mortgage agreement, mortgage account statements, property tax bills. If you lease a home (or other property) together, the central document to include is the lease agreement. Prepare copies of the lease agreement that shows the names of both the conditional permanent resident and the spouse. Even if you do not own property together, it is helpful to demonstrate that the home is jointly occupied. The lease agreement may hold one person financially responsible but indicate both individuals as tenants. Other relevant documents to demonstrate that you are living together may include: utility bills (gas, electric, telephone, water, cable TV, internet, etc. ), homeowner association (HOA) bills and repair records. Submit documents showing that you have purchased things together (e.g., car, appliances, furniture, etc. ), taken out a loan together or share equity in an account is useful. Examples may include: joint savings and checking accounts with transaction history, joint credit card statements, joint Federal and State tax returns, title of car showing joint ownership and other joint loans. If you have traveled together as a couple, provide evidence with travel records. Travel records are helpful to demonstrate that you vacation together and are especially useful if you traveled to the other spouse’s home to meet and spend time with family. Examples of travel records may include: airplane, train, rental car, or bus tickets, reservations, and boarding passes; hotel reservations and bills; and passports. 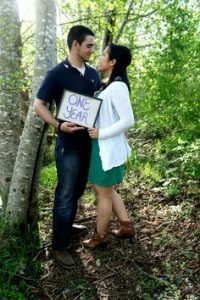 You may submit 10-20 photographs of the married couple together. Examples could include wedding photos, traveling, special events with family and friends, etc. (You should also hand write the place, names and dates on the back of photos.) Remember, the photos become more compelling evidence if they establish that you spend your lives together by attending family functions and socializing with community (e.g. religious, friends, schools, etc.). The items above are some of the most common and most useful documents for proving your bona fide marriage, but it is not an exhaustive list. Other evidence may be used if you feel it improves your case. Affidavits can help support other types of primary evidence listed above. You may supply affidavits sworn to or affirmed by people who have known both of you since your conditional residence was granted and have personal knowledge of your marriage and relationship. (Such persons may be required to testify before an immigration officer as to the information contained in the affidavit.) For more information, read How to Write an I-751 Affidavit Letter of Support. How many documents are necessary you ask? There is no required amount. Generally, the more, the better. Your goal is to provide overwhelming evidence that you have a bona fide marriage and avoid the I-751 interview. What happens if you and your spouse are not getting along, and the marriage is falling apart, or has already been terminated, before the two-year card expires? What if your spouse is not willing to sign the petition? There are some circumstances in which you are allowed to apply by yourself and request a waiver of the joint filing requirement. Entered into a marriage in good faith, but either you or your child were battered or subjected to extreme hardship by your U.S.-citizen or permanent-resident spouse. In many cases, the couple has filed for divorce but the divorce has not been finalized. The conditional resident cannot file the I-751 petition in these cases. The divorce must be final in order to qualify for the divorce waiver. The extreme hardship waiver is another possible path in these situations, but can be a difficult standard to meet. For these reasons, it’s always best to seek the expert advice of an immigration attorney when filing Form I-751 with a waiver. As previously explained, renewing green card after 2 years is actually a process known as removing the conditions on residence. A 2-year green card cannot be renewed. Lawful permanent residents with a 10-year green card use Form I-90, Application to Replace Permanent Resident Card, when it’s time to renew a green card. A conditional resident should never use Form I-90 to renew a green card. However, there are cases that a conditional resident may use Form I-90. By now you understand that there is no such thing as renewing green card after 2 years. A conditional 2-year green card holder must petition to have the conditions on residence removed so that a 10-year permanent resident card can be obtained. CitizenPath provides simple, affordable, step-by-step guidance through USCIS immigration applications. Individuals, attorneys and non-profits use the service on desktop or mobile device to prepare immigration forms accurately, avoiding costly delays. CitizenPath allows users to try the service for free and provides a 100% money-back guarantee that USCIS will accept the application or petition. We provide support for the Petition to Remove Conditions on Residence (Form I-751), Green Card Renewal (Form I-90), and several other commonly used USCIS forms.